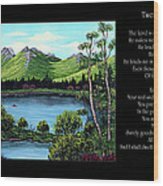 There are no comments for Twin Ponds And 23 Psalm On Black Horizontal. Click here to post the first comment. 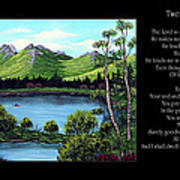 Twin Ponds and 23 Psalm on Black Horizontal by Barbara Griffin. 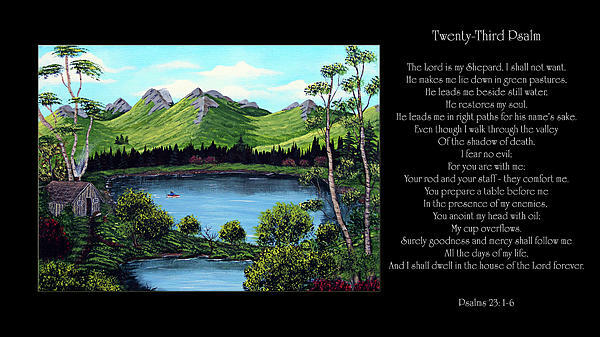 Twenty Third Psalm with the original painting Twin Ponds. A fisherman is enjoying peace and relaxation in his hideaway mountain retreat.